It's almost here! My favorite holiday of the year, and rest assured, I am prepping and shopping and planning as we speak. 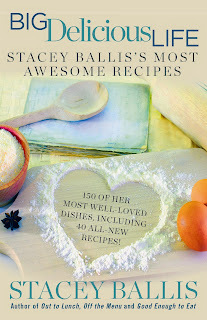 And one of the things I am thankful for is that just in time for the holiday festive spirit, my publisher is doing a special promotion for Big Delicious Life! 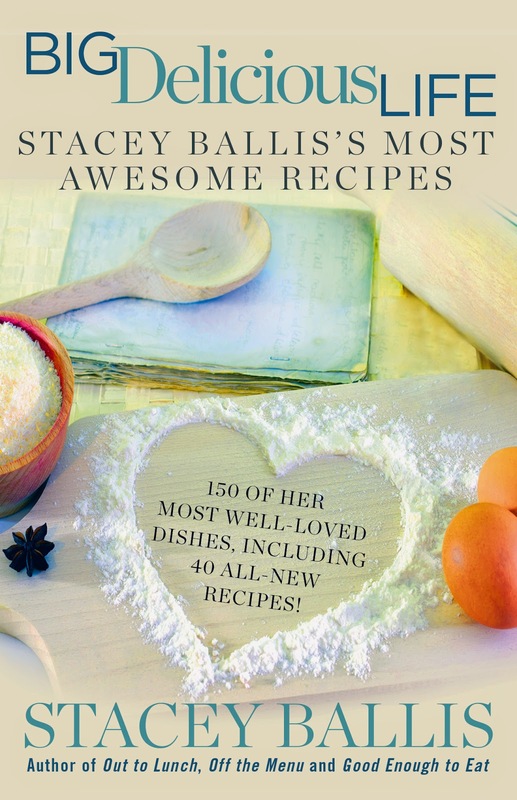 For anyone new, this is my digital cookbook, over 150 of my best recipes, including dozens that are perfect for holiday entertaining! Thru 11/22 it is just $.99. And since it is digital, all you need to gift it to someone is their email address. So think on this...the cost of a holiday card PLUS the cost of postage is MORE than sending someone your festive greetings with a whole cookbook! The simple, easy to use digital format means that it is the perfect thing to have on your phone or tablet when you head to the grocery store and are facing down yet another packet of weeknight chicken. Heading out of town to stay with friends or family or to a vacation rental? This puts a serious cooking resource right in your back pocket, saving you from only making sandwiches and reservations. CLICK HERE to get your copy, or to send to the cooks in your life. With all due respect to Martha, you don’t need twenty-four matching turkey shaped bowls for the soup to taste good, you don’t have to grow your own cranberries, or even make your own pie crust (or pie for that matter) for this day to be wonderful. Good food, prepared with love (or purchased with love), and served with a smile is all anyone needs for the holiday to be sublime…to each at the level of their own ability. Secondly, know thy audience. You might be a major foodie, but is Aunt Marge? No point in fussing over individual pumpkin soufflés cooked in hollowed out roasted quinces unless the rest of your guests will think it as cool as you do, and not wonder dejectedly where the Entenmann’s Pumpkin Pie with Cool Whip is this year. You can take the essentials and just make them with the best ingredients you can get, and know that you have improved, even if you haven’t monumentally altered. Or think of it as a retro meal, all the rage these days, and revel in the kitschy quality of making the recipes the old way. Sure, I’m a foodie-slash-crazy-person, so I make my cream of mushroom soup from scratch before assembling the ubiquitous casserole…but honestly, it’s a tradition for a reason, the original recipe is pretty comforting and delicious in its own way, and easy to make, so even if you consider yourself a major gourmet, pull out the processed food version and serve with a smile. Ditto sweet potatoes with marshmallows. I can hear you crying about it now….you are used to the bird packed with stuffing, you dream about the really crispy good part in the front over the neck, why can’t we stuff our turkeys? Here’s why….one, a stuffed bird is the best possible way to get food borne illness on the agenda. If the stuffing doesn’t get up to at least 180 degrees internally, it can breed bacteria, not fun for anyone’s tummy. Two, in order to get the stuffing to 180, you are going to overcook the crap out of the turkey itself, especially the breast meat. Three, all that moistness you love in the in-the-bird stuffing? That is all the juices from the meat that are getting sucked out by the huge stuffing sponge, and you not only dry out your bird, you have many fewer juices with which to make gravy. Make your stuffing and bake in a separate dish, and if you really miss that dense moistness, buy a couple of extra turkey wings and lay them on top of the casserole as it bakes, and/or melt a stick of butter in a cup of chicken stock and pour it over the stuffing ten minutes before taking it out of the oven. And get over it. Stuffing that wasn’t actually stuffed is always going to be better than food poisoning. 9. Thou shalt not be a Thanksgiving Dictator or That Annoying Guest. If people want to help in the kitchen, let them. And don’t criticize the quality of their small dice, or the way they wash the pots. Ditto assigning specific foods to guests who want to bring something…if someone offers to bring a dish, ask them what they love to make or what they crave most about Thanksgiving and let them bring that. Who cares if you have two kinds of sweet potatoes, or both cornbread and regular stuffing? On Thanksgiving, more is more, and abundance rules. Besides, you have a three-day weekend that needs quality leftovers. If you are the guest, offering to bring something, be clear about what you are capable of, make sure to ask how many people you are expected to serve, and DO NOT BRING ANYTHING THAT NEEDS ASSEMBLY OR COOKING ONSITE! Do you have any idea how supremely annoying it is for someone to arrive with a grocery bag full of ingredients to begin making their dish while you are doing a kitchen dance that is just shy of the opening ceremonies for the Olympics? Or with their frozen or chilled item that they they need to wedge into the one oven? If your dish is to be served warm, bring it warm in an insulated container, or in your slow cooker so that you can plug it in somewhere unobtrusive till it is time to serve. Speaking of serving, my best trick for holidays and dinner parties alike is to bring my offering on a serving platter that doubles as my hostess gift. Target, Home Goods, etc. all sell very inexpensive serveware, and it is a very big relief to your hosts for you to hand off your contribution, already on or in its final destination, and say "The platter/bowl/basket is our gift to thank you for your hospitality." Nothing is more annoying during dishwashing than making sure everyone's serveware gets cleaned so they can take it back home. Ditto Tupperware. I'm just saying. I am deeply thankful for each and every one of you for reading, supporting me and my work, and being kind and gentle ears in the world for my words. So know that next Thursday, you'll all be in my heart. Boil potatoes till soft. Drain completely. Put potatoes through ricer, or just use hand mixer to mash. Add butter first, then cream cheese, and then milk to just shy of your preferred texture. Once the potatoes are almost there, add in the sour cream and chives and season well. Hold in double boiler to keep warm…this is the dish I make while the turkey is resting, best when fresh. In a large wide saucepan with high sides, sauté shallots and mushrooms in butter until moisture is released and evaporates completely. Sprinkle flour over mixture, stir in, and cook 1 minute. Add stock and simmer 2 minutes. Add cream and simmer about 15-18 minutes until very thickened and reduced. Take off heat and stir in mascarpone, taste for seasoning, add salt and pepper. Mix beans with sauce and pour into buttered pan 9x13.